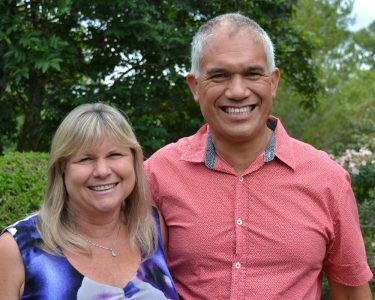 Ron and Tanya Pirini are Deed Missionaries at the SWIM (Supporting Workers In Mission) base in Honiara, Solomon Islands. This is a volunteer position, and Ron and Tanya’s role involves overseeing the maintenance and repair of all SWIM buildings, property, vehicles and other equipment, along with the co-ordination and distribution of relief goods, and accommodation and management of the transit house. Ron and Tanya also participate in the Christian ministry of SWIM through involvement with Prison Ministry, Days for Girls programme, School Scholarship Programme and the Bethesda Disability Centre. SWIM base is a mission of the Christian Reformed Church of Australia. For More Information go to www.swim.crca.org.au or check out their latest newsletter here. You can make a donation to City Church Tauranga to help support the Pirinis and the great work they are involved in. Just write OIF as a reference and it will go directly to our Outward In Focus fund.